First model of the Hyundai's luxury sub-brand. 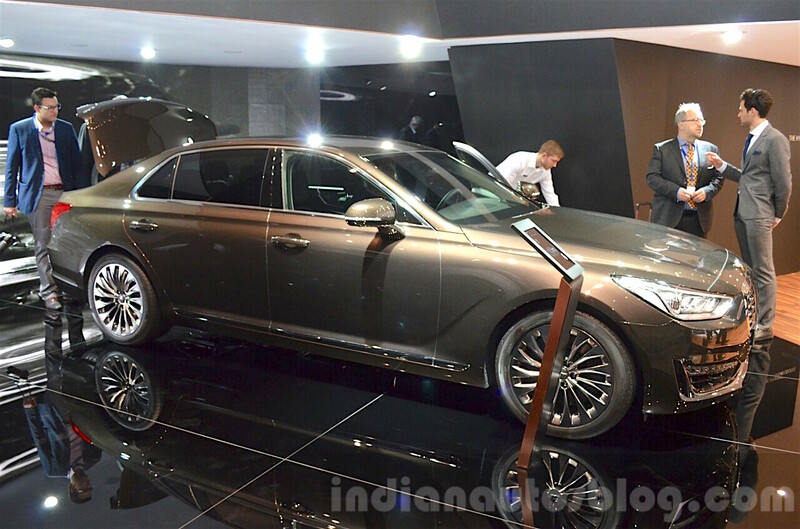 The Genesis G90 has made its European premiere at the 2016 Geneva Motor Show. It is the first product of the Athletic Elegance school of design that was penned by Hyundai's Prestige Design Division, and is the first product of Hyundai's 'Genesis' luxury division. The G90 is loaded with human-centered technologies in a package called Genesis Smart Sense that includes Cruise Control, Lane Keeping Assistance System and Highway Driving Assistance. The latter is restricted to the Korean market. The car also features the world’s first clinically-validated Smart Posture Caring (SPC) System which automatically adjusts the steering wheel, seat, outside rear view mirrors and the Head-Up Display to their optimal positions in regard to the driver’s body. 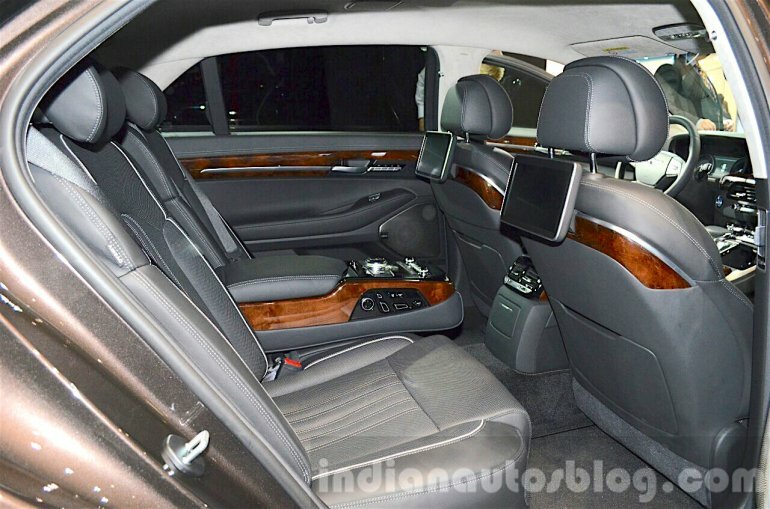 The driver's seat of the G90 has 22 ranges of adjustment, while the passengers' can be adjusted in 14 different ways. The safety systems offered on the Genesis G90 include Driver Attention Alert, Autonomous Emergency Braking (AEB) with Pedestrian Detection, Active Blind Spot Detection (BSD), Smart High Beam Assist and a 360-degree Around View Monitor. The Genesis G90 will come with a choice of three petrol engines - a 3.3-litre V6 T-GDI motor that produces 370 PS and 510 Nm, a 3.8-litre V6 GDI unit that develops 315 PS and 397 Nm, or a 5.0-litre V8 GDI mill that generates 425 PS and 520 Nm. The smallest unit is Hyundai Motor’s first twin-turbocharged engine. The G90 has a Gross Vehicle Weight (GVW) of 2,420-2,595 kg, and a boot space of 484 litres.